Six apps that can help you satisfy hankerings from burgers to coffee. 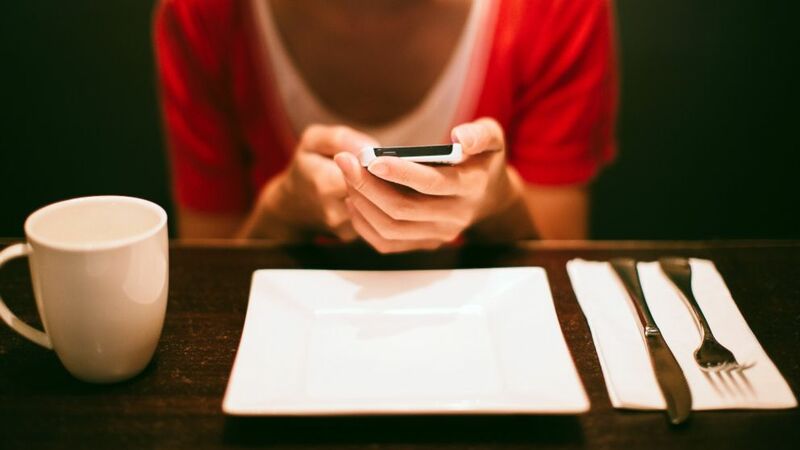 camera (Getty Images/Flickr Open) A young woman uses a smartphone in a restaurant in this undated stock photo. intro: Major cities offer a wealth of delicious dining options. But while the surfeit ensures choices, it also means that hungry patrons can be easily overwhelmed. Fortunately, a selection of smartphone apps are now willing to do some of the legwork for them. Such handy tools as the aptly named Find Me Coffee not only direct users to nearby cafes, but also invite them to rate and review those they frequent online. Here, we share some of the applications determined to deliver you to your favorite foods. Thanks to them, the search is seamless.